Philex Mining Corporation (the “Company”) respects your right to privacy and commits to protect your personal data. This privacy notice aims to help you better understand how and why we collect your personal information, and how we process that information, and the reasonable and appropriate measures we implement to secure that information. The information that we collect will be used to respond to your concern/s. Only your name and comment will be posted on the site, provided that it does not contain hate speech, profanity, obscenity or vulgarity, and other comments that the Company deems inappropriate. We will not share your information, except those legitimately posted on the site, with any third party external to the Company except when necessary to fulfil your request and as permitted by applicable laws or regulations. Your information is stored and retained in our database for a reasonable period in accordance with the retention, storage, and protection policies established by our Company. We ensure that the information we obtain are destroyed prior to disposal. We use “cookies” on this site. A cookie is a block of data that a web server places on a user’s personal computer to help us improve your access to our site and identify repeat visitors. Cookies can also enable us to track and target the interests of our users to enhance the experience on our site. Usage of a cookie is in no way linked to any personally identifiable information on our site. Be informed. You have the right to be notified and furnished with information before your personal data enters our processing system. You have the right to object to our processing of your personal data and/or withdraw your consent in case of changes in the information previously provided. Your personal data shall no longer be processed with the exceptions enumerated under the law. You have the right to reasonable access to, upon demand, (a) contents of your personal data that were processed, (b) sources from which personal data were obtained, (c) names and addresses of recipients of the personal data, (d) manner by which such data was processed, (e) reasons for the disclosure to recipients, if any, (f) information on automated processes where the data will, or is likely to, be made as the sole basis for any decision that significantly affects or will affect you, (g) date when your personal data were last accessed and modified, and (h) the designation, name or identity, and address of any pertinent personal information controller. You have the right to dispute, under reasonable circumstances, the inaccuracies or errors in your personal data and have it corrected immediately and accordingly. Erase or block.You have the right to suspend or withdraw, order the blocking, removal or destruction of your personal data from our filing system upon discovery and substantial proof of the conditions enumerated under the law. Be indemnified.You have the right to receive compensation for any damages you have sustained due to inaccurate, incomplete, outdated, false, unlawfully obtained, or unauthorized use of your personal data. Data Portability.You have the right to obtain a copy of electronically processed personal data in an electronic or structured format commonly used. This notice is effective as of March 22, 2018. 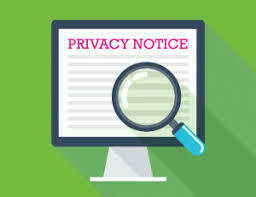 We will publish notice for any updates or revisions relating to our privacy policies and practices to comply with the regulatory requirements and to adapt to new technologies and protocols, to align with the best industry practices and for other legitimate purposes. If you have any questions or would like further clarifications, or if you believe that your privacy rights have been violated, please contact our Data Protection Officer (DPO) at jadevenecia@philexmining.com.ph. We commit to do our best to appropriately and immediately respond to your concerns.